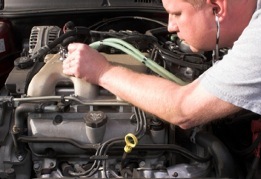 Welcome to Davis' General Auto & Truck Repair, a full-service preventive maintenance and automotive repair center. We perform high quality, guaranteed service you can trust at a fair price. We repair domestic and foreign vehicles and are your best choice for scheduled maintenance of your car, SUV, truck and fleet vehicles.